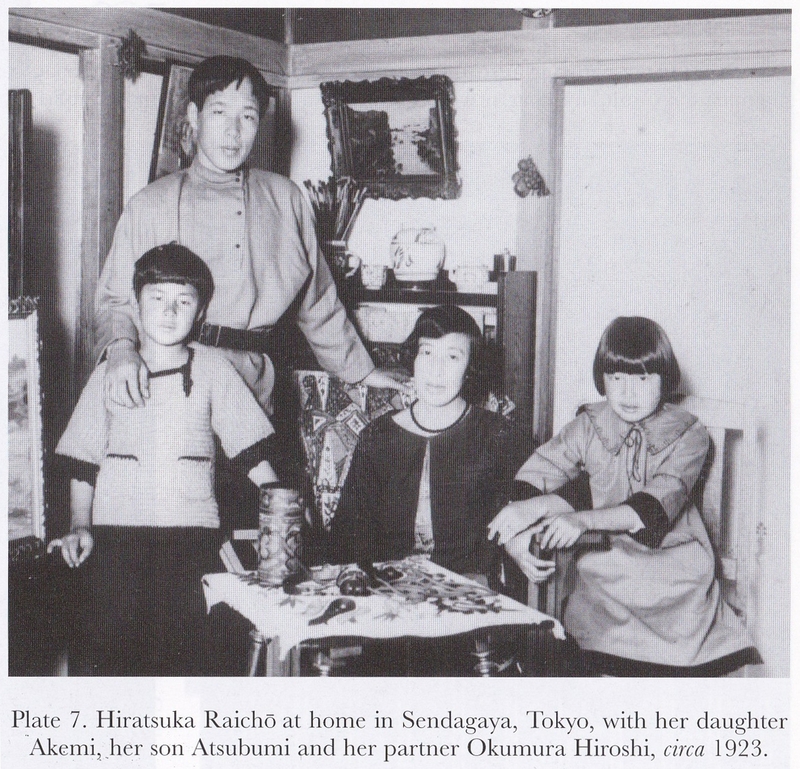 This is the third and last part of my essay about Hiratsuka Raichô, an early Japanese feminist. You can find part one here and part two here. As a reaction to the continuing bad press about “New Women”, Hiratsuka Raichô declared herself a “New Woman” in an article published in January 1913 in the Chûô Kôron magazine. There, she promoted women’s rights and criticised the Japanese society and press. She wrote that she wanted to fight for a better world for women but that she didn’t know how such a world would have to look like. The discussion about “New Women” helped raising awareness to women’s problems but at the same time, it showed the limitations that Seitô and Hiratsuka Raichô undeniably had. Conservative images about an ideal type of woman still remained in Hiratsuka’s head as well as in those of other Seitô members, for example a woman’s role as a mother or a heterosexual orientation. It’s also clear that Hiratsuka tended towards naive perceptions of reality and didn’t know about feminist developments in the West. To improve the view of “New Women”, a new feminist group was founded after Seitô‘s first and only lecture meeting. The Shin Shin Fujinkai (Assembly of Real New Women) was politically motivated, influenced by feminist movements in Europe and America and fought for numerous political causes. Hiratsuka considered them merely as an anti-Seitô group, not recognizing the potential of such an organization. In April 1913, Hiratsuka published an article called „Yo no fujintachi e“ (“To the women of this world”), in which she criticized the ie-system (feudalistic family system which saw the father as head of the family, followed by the eldest son, and at the bottom the mother and the daughters) and the marriage laws which put women at a severe disadvantage (they lost all property and rights to their husband), and wrote that she wouldn’t marry under these circumstances. True to her word, Hiratsuka moved into a rental house with her partner Okumura Hiroshi without marrying him. As she lost the financial support of her family, and her partner, an artist, didn’t earn much money, it was her responsibility to earn her family’s living. After the birth of her children, Okumura’s sickness and thus resulting financial problems, Hiratsuka had to pass Seitô‘s leadership on to Itô Noe. Itô edited two issues of the magazine before taking over completely in January 1915. Under Itô’s editorship Seitô‘s content changed into that of a feminist women’s magazine. During the 13 months in which Itô was head of the Seitôsha, articles about chastity, abortion and prostitution were published. Since they were seen as a violation of moral taboos, some issues of Seitô were forbidden and seized by the government. The last issue of Seitô was published in February 1916. Itô who had been a socialist at first switched to anarchism and was arrested and then shot by the police together with her husband and her nephew in September 1923. A changed political climate towards right populism accompanied by the persecution of socialists and anarchists was responsible for that. Seitô allowed Japanese women to literally give account of their own experiences, to discuss literature and society as well as exchange ideas and comments. Although Seitô wasn’t the first women’s magazine in Japan, the Seitôsha was the first literary society which was led by women for women only. It’s foundation was possible because of better education for girls and women and thus reflects the social and political change in Japan. In spite of Seitôsha‘s achievements, it has to be acknowledged that improvements would have been possible on many levels. One problem was the political passivity of Hiratsuka Raichô and most other Seitô members which lead to a largely unpolitical literary society. Only one anti-war article was published in Seitô and other political incidents like the execution of socialists after a failed coup attempt weren’t mentioned at all. Further, the social ignorance of Seitô members in regard to women of lower classes has to be mentioned. Since most women of the Seitôsha were raised in similar circumstances to those of Hiratsuka, namely in a middle-class family with good educational background, they didn’t have enough personal experience to deal with social topics correctly. The discussions remained on paper and didn’t result in political or social action. Hiratsuka admits in her autobiography that her views had been limited and that the Seitôsha couldn’t have developed into a social movement under such conditions. Caring more about intellectual and spiritual freedom then about suffrage, better educational opportunities or working arrangements showed clearly the limited views of rich and well-educated women who never had to worry about financial stability. Only with leaving her parent’s house and gaining her independence did Hiratsuka learn about the problems a working woman and mother had to face. These personal experiences were the reason for her later participation in the debate about the protection of motherhood, her foundation of the Shin Fujin Kyôkai (Assembly of New Women) and her political engagement in anti-war demonstrations. Despite their short-comings the Seitôsha gained a lot of attention in the media, not least due to the scandals surrounding some Seitô members. Hiratsuka describes her efforts in Seitô as a first call to women to awaken from their suppression. In her opinion, this step had to be taken first before political action could follow. Hiratsuka’s engagement in the Seitôsha can thus be described as a wake-up call. Seitô‘s articles about “New Women” lead to a boom of publications in other magazines and media types. Discussions about family values and women’s problems which were published in Seitô were picked up and continued in other magazines. Hiratsuka Raichô and her Seitôsha played a crucial role in this period which would later be called “onna no jidai”, the time of women. Seitôsha accomplished what Hiratsuka wanted it to: women in Japan awakened and revived their slumbering potential. They stepped out of the shadows of their fathers, their husbands and their sons back into the light of the sun. 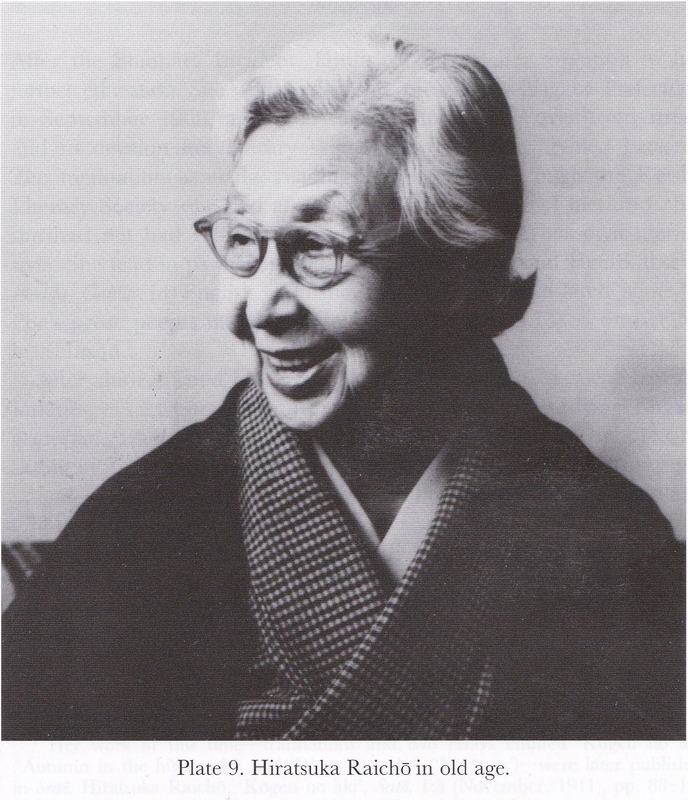 Hiratsuka Raichô herself also lived through this awakening which in her later years resulted in political and social engagement and made her a leading figure in Japan’s early feminist movement.